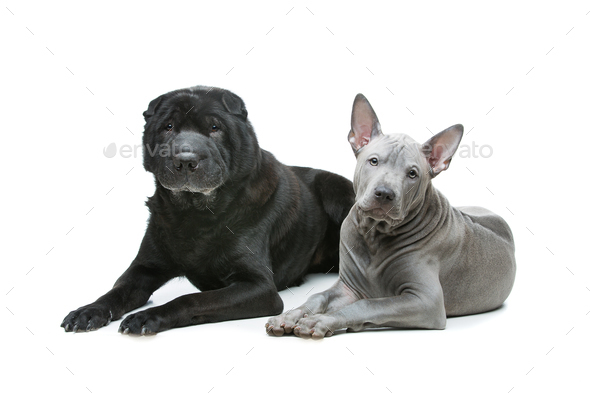 Beautiful old black purebred shar pei dog and cute blue thai ridgeback puppy lying. Isolated on white background. Copy space.